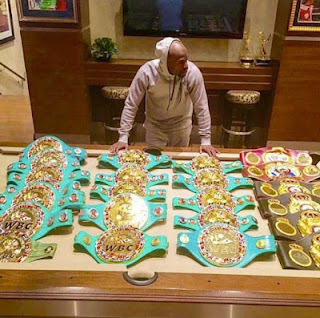 Floyd Mayweather is the richest man in sport and he is not afraid to flaunt his wealth. 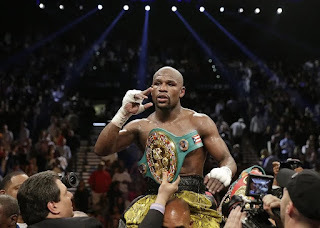 The 50-0 fighter became the first man in the history of boxing to record over £1billion in career earnings following his win over Conor McGregor. He's now retreated back into retirement, where he is enjoying his plush lifestyle from his Los Angeles home. Mayweather recently bought his Beverly Hills mansion for a whopping £18.9million and has kitted it out in style. 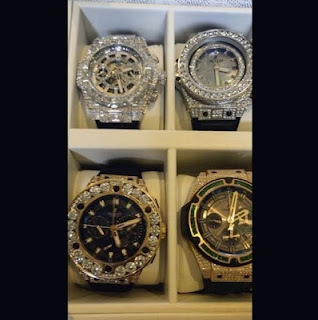 After earlier showcasing his collection of wine,the interior of his swanky home , Now, the 40-year-old just shared images of his championship belts and his blingy watches.